Early in Catalonia’s history, the region was ruled by Greeks, Carthaginians, Romans, Visigoths and Moors. After a period of Frankish administration, the region became a self-governing principality, ruled by the Count of Barcelona under the Crown of Aragon. It was during this time that Catalonia began producing a uniquely Catalan culture. The principality later unified with the Crown of Spain but kept self rule. However, during the War of the Spanish Succession in the early 1700s, King Philip V brought an end to Catalan self-rule, incorporating it fully under the Spanish monarchy. In the 20th century, Catalonia would have varying degrees of cultural independence. After the Spanish Civil War in the 1930s, military leader Francisco Franco banned Catalan language and culture for several decades. After World War II, Spain would see booming economic growth (the so-called the “Spanish Miracle”) with Catalonia both contributing and benefiting. With the end of Franco’s rule in 1975 came the transition from dictatorship to democracy, which resulted in Catalonia being granted political, cultural, and linguistic autonomy under the new Spanish constitution. The formation of pro-independence organizations in Catalonia began in the early 20th century, with armed groups like Terra Lliure, the Catalan Liberation Front, and the Catalan Red Liberation Army later showing up too. By the mid-1990s, however, most of the violent separatist groups had disbanded. Starting in 2008, the global recession hit Spain particularly hard, and the economic downturn rejuvenated nationalist aspirations in the relatively prosperous region. Separatists especially pointed to the fact that Catalonia was contributing almost 20% of Spain's tax revenue, while allegedly receiving less than 15% of federal government spending. Polling in 2010 suggested that only 25% of Catalans wanted outright secession from Spain, but by 2012 that had grown to a surprising 51%. After pro-independence parties won a majority in the Catalan parliament in 2012, plans were made for a referendum on leaving Spain. A non-binding "popular consultation" vote was held in 2014 amid political and legal opposition from the Spanish government, with 81% of participants favoring Catalan independence - however, it was widely believed that opponents of independence didn't vote at all. But after pro-independence parties retained their combined parliamentary majority in 2015, the regional government set out to separate from Spain once and for all. A serious, uncompromising independence referendum was eventually scheduled for October 1, 2017, in open defiance of the Spanish government and courts. Now, the Catalan administration is struggling to make sure the vote is still held, with national police taking direct action to close polling stations and keep ballots out of residents' hands. Even if the vote is held and independence wins, Catalonia will face a very tough and uncertain road ahead if it hopes to achieve real independent rule and recognition by other countries. How would Catalonia compare if it could became a recognized independent country now? It would have a population of 7.5 million people, making it the 101st most populous country in the world, and roughly 20th in Europe - just a bit less populous than Switzerland. 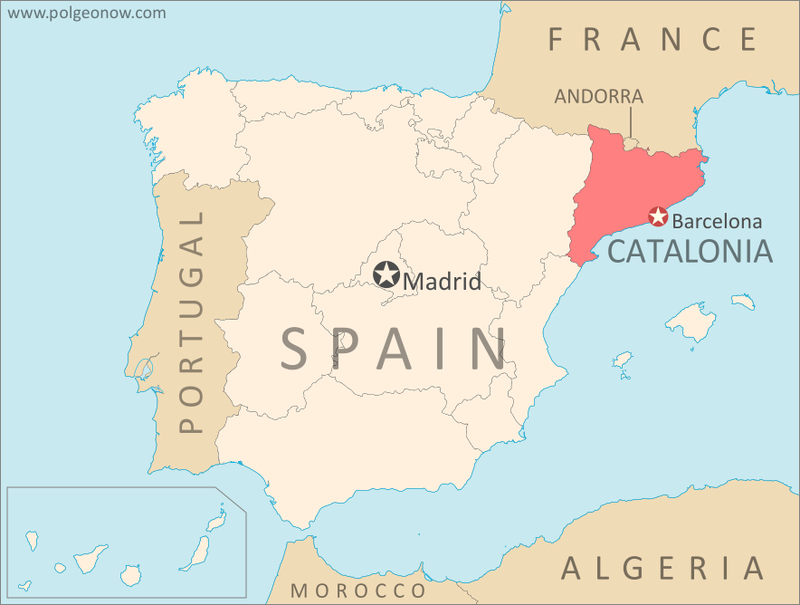 The total land area of Catalonia is about 32,100 sq km (12,400 sq mi), making it roughly the 135th largest of the nearly 200 countries in the world, and 34th in Europe (about the size of Belgium). The gross domestic product (GDP) of the Catalonia region is about US$200 billion, which would make it roughly the 45th largest national economy in the world if it were an independent country, and about 15th largest in Europe (similar to Finland). If Catalonia strikes out on its own, Spain would lose roughly 16% of its population and 6% of its territory, and its GDP would be reduced by about 20%. 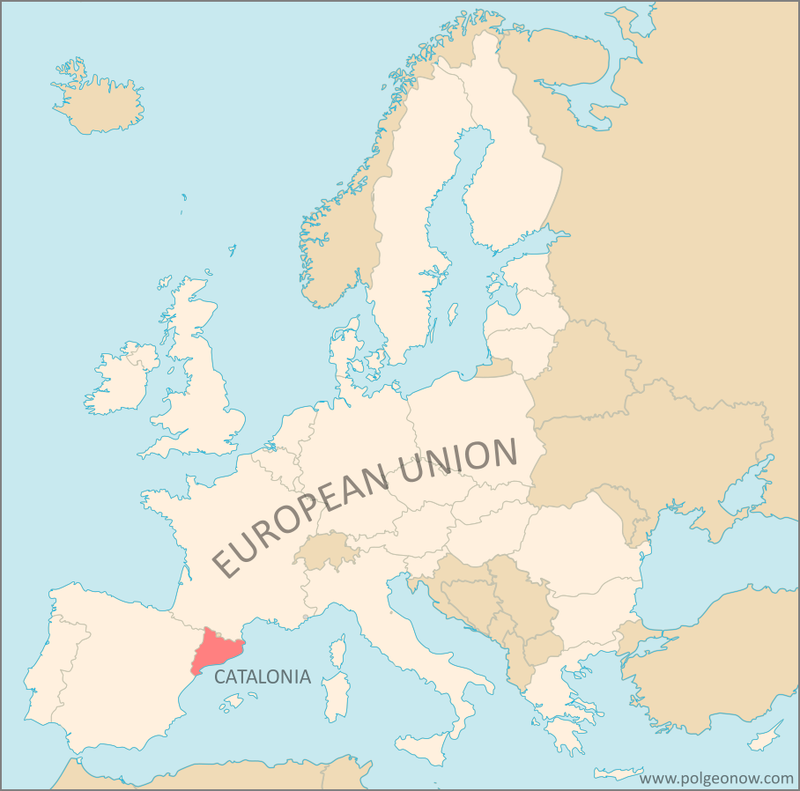 Can Catalonia Join the EU? One big issue hanging over discussions of Catalan independence is European Union (EU) membership. As citizens of the UK know, leaving the EU is no simple matter, since member countries are heavily intertwined economically and in other ways. And for Catalonia, declaring independence probably means leaving the union: The EU says if Catalonia secedes from Spain, it will have to re-apply as a new member country. Since existing EU members, including Spain, must all agree before any new applicants are accepted, the odds aren't looking very good for Catalan membership in the near future. Learn More: What will happen after Catalonia's controversial independence vote?